Understanding the vast and unmatched website and portal design tools available in Axis LMS. It may not be evident, but you can create a custom, fully functional website using tools in Axis LMS. As a mater of fact, you can create both the public-facing, and private-access sites, and even create e-commerce stores on both sites. While certainly not the substitute for a seasoned website designer, you will most likely be pleasantly surprised how easy it is to create beautiful, functional site designs that align to your business processes and branding, using the tools available to you in Axis LMS – with no design experience needed. As a Partition Administrator, one of the most powerful tools you have control of is the Account Website. This publicly accessible site will function differently from company to company; some choose to have it redirect straight to their Learning Portal. But for others, the extensive customizability of the Account Website allows their company to use it as their company website. To decide whether or not your Account Website redirects to your Learning Portal login, go to System > Site Design > Account Website > Settings, then select how you’d like your Account Website to handle its visitors. All three Axis LMS Websites are created using a grid system, which allows you to produce produce high quality, professional websites even if you may not be a website designer. When you’re working on your Account Website, you’ll want to remember that this is a level of your site where anyone -not just logged in users- can visit. And your selection of widgets is going to reflect this; widgets that look up, reference, or interact with user data may not be accessible. If you’re setting up the Account Website as your company’s main website, you may want to use a combination of Text Block, Articles, Calendars, and Navigation Bars. Text Blocks allow you to add text, images, and videos to your page; and are best for text that is not likely to be updated frequently. The Articles widgets are best when used together, and are best used when you release new articles regularly; as it provides the visitor with the ability to choose what article they want to read. Calendars are a great way to relay the different events going on in your company; or if you’re already using Google Calendars, you can integrate it right into your site – read more here. 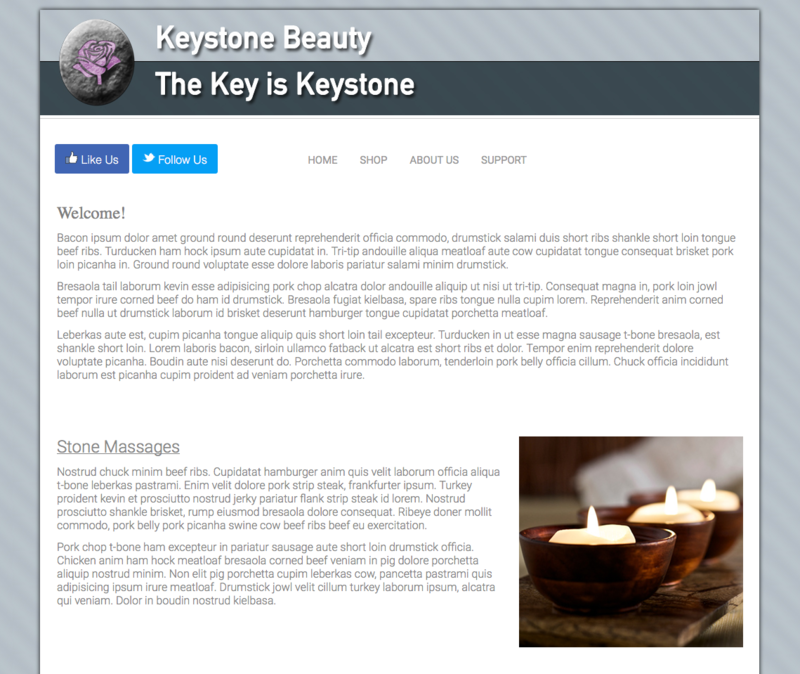 Navigation Bars are customizable through CSS, and give your users a way to move from one of your website pages to another. Every page in Axis LMS uses a banner at the top by default. To swap out this banner for your Account Website, select the gear icon from the top right of the Account Website Page Manager. From this page, you can choose from your desktop or File Library to select a new banner. For more tips on mobile friendly designs, check out this article here. If you’re not already familiar with the SEO acronym, it stands for Search Engine Optimization, and helps your website appear higher in the search results in search engines, such as Google and Bing. While this article won’t go into the different ways you can improve your company’s SEO results, it will go over some of the different tools inside Axis LMS, that are commonly used to do so. Page Description: This will be used in search engines when listing your site. This entry was posted on Friday, February 24th, 2017 at 2:40 pm	and is filed under ELearning 101. Responses are currently closed, but you can trackback from your own site.